I can't believe that Christmas is next week. This month/year have gone by so quick! I am taking a laid back approach to the holidays this year. As I have gotten older I have realized that all the craziness of the holidays that I put myself through when I was younger just isn't worth all the stress. My boys are now 4 and 6 and I fully expect to enjoy Christmas instead of obsessing about everything being perfect. Things will still be great, even if the presents aren't perfectly wrapped and dinner is simple, yet still delicious. This year I am determined to enjoy my kids and the time that I have with them. I am old enough now to realize that these moments are fleeting and I would rather enjoy the time than run around making myself tired and cranky. Since next week will be so busy I have been making meals that are easy to put together, while still being nutritious and flavorful. Last week I tried a new recipe for Lentil Sloppy Joes from the December issue of the Food Network Magazine, which looked like a great way to add fiber and iron into my family's diet, while still being low in calories. This recipe has 15 ingredients. It takes a total of 1 hour 10 minutes, 30 minutes of which is active and makes 6 servings. I did decide to make a few changes to the recipe. First I was not motivated to make ground beef, so I substituted ground lamb instead. Secondly, since I eat gluten free I used gluten free hamburger buns. I would normally make them from scratch, but this time I bought store bought. I chose to use sliced pickles, but not the pickled jalapeno peppers. The recipe suggests that you may need to add up to an additional cup of water in order to cook the lentils, but I did not need to make this addition. I did find that the lamb was a little rich, but a mixture of lamb and beef would be perfect. I followed the remainder of the recipe as written. I was surprised how great these sloppy joes turned out. I wasn't sure how the lentils would taste, but they worked great with the meat and were a good way to save fat and calories. My husband added jalapenos to his serving and he thought that they were a great addition. If you like spicy foods this would be a great way to add some heat. 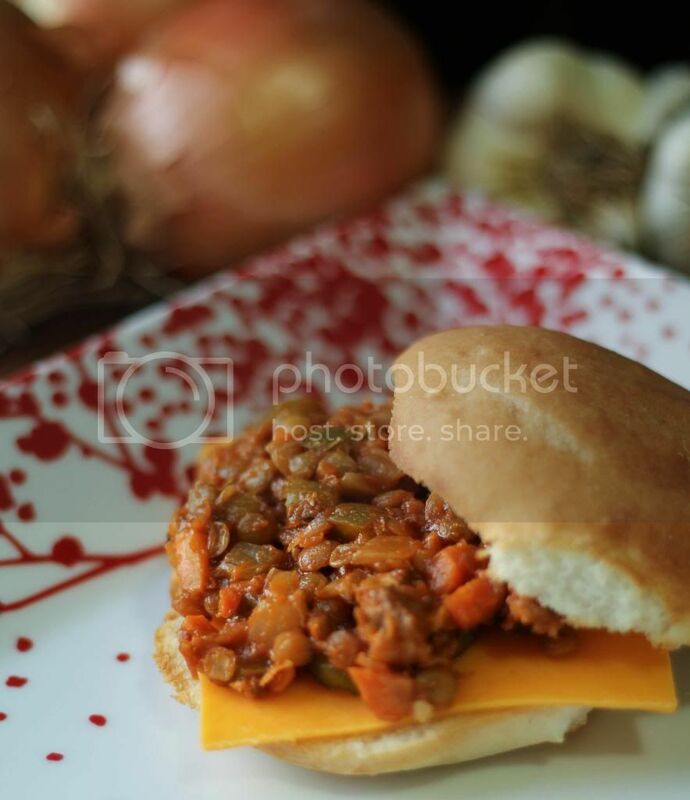 For the recipe go to Lentil Sloppy Joes. That looks absolutely amazing. I am really struggling with dishes to come up with right now. My child is already out of school so I am having to come up with three interesting things a day plus snack so it is difficult. I am going to try this. As always, you have wonderful articles. I am pinning this! We just love lentils in this house. Thanks so much for sharing. I found your blog via Jody's Tuesday LinkUp. It does feel like it was just New Year's :) Followed you back, thanks for the sweet comments! The lentils really do make it yummy :) Thanks for the follow, following you now! Your pics are beautiful!